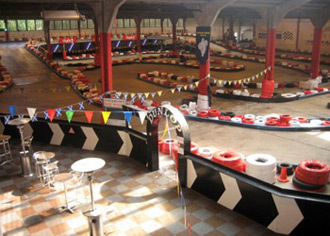 This indoor go karting circuit is part of the Scotkart Group this venue is perfect for all size groups and is close to the heart of Glasgow. From junction 2 of the M74 follow the A724 Cambuslang road south east then turn left at Westburn Road - the track will be on the left. A team endurance event. 15-minutes Qualifying to determine your grid position then a non-stop 75-minute relay event for teams of 3 drivers sharing a kart. For corporate groups where none of the events listed are just what you want - just contact the UK Go Karting team and we'll help you build the ultimate karting experience. The venue has 10 specific cadet/junior karts.